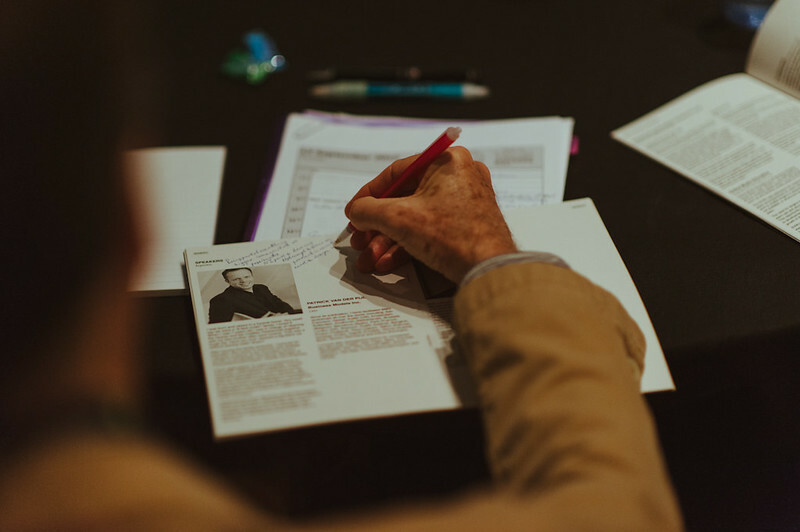 The development of our 2018 masterclass is underway. 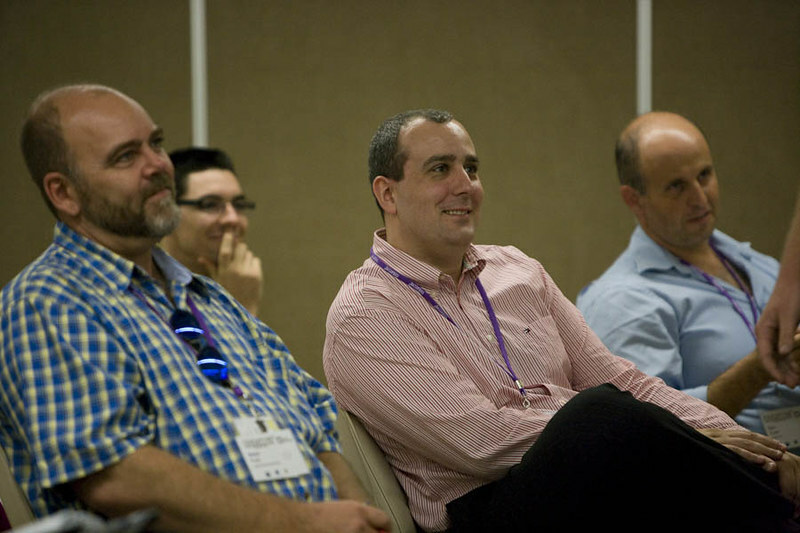 See below for past years’ experiences. 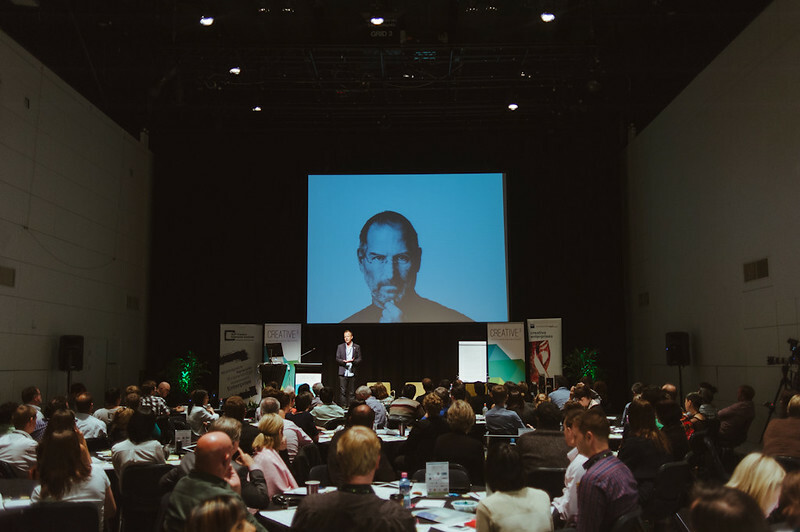 The ‘F’ Word Conference is a two-day annual event on September 20 + 21 featuring panel speeches from a host of leading voices in tech and innovation. 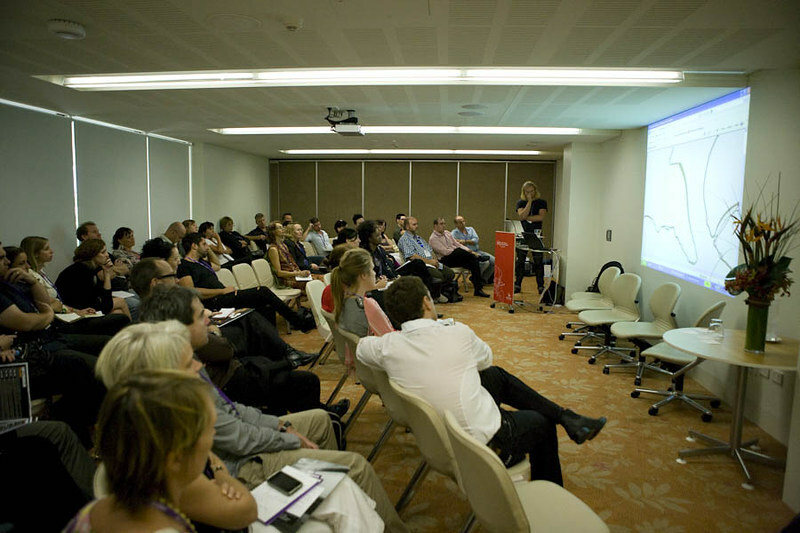 The conference includes masterclass workshops and panel discussions to help startups in the creative and consumer industries to grow their business. 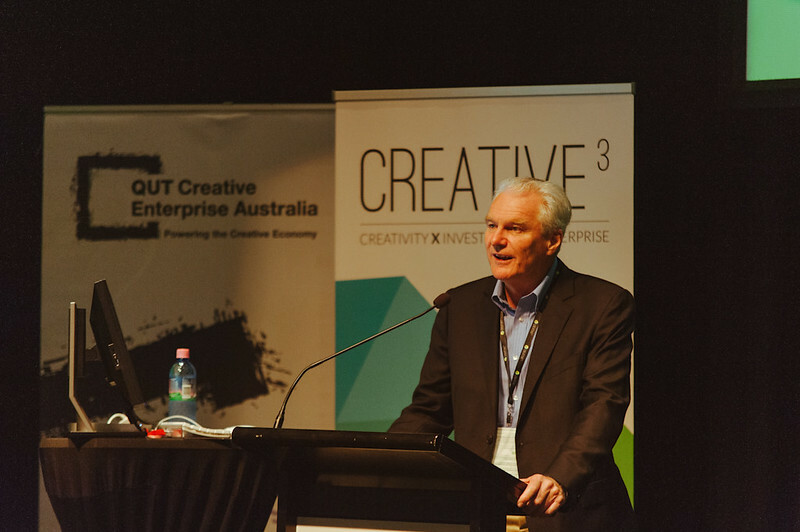 In 2016, QUT Creative Enterprise Australia (CEA) proudly partnered with the YouTube and Queensland Government, to deliver the Create Queensland initiative in partnership with QUT, Griffith University, Screen Queensland and TIQ. 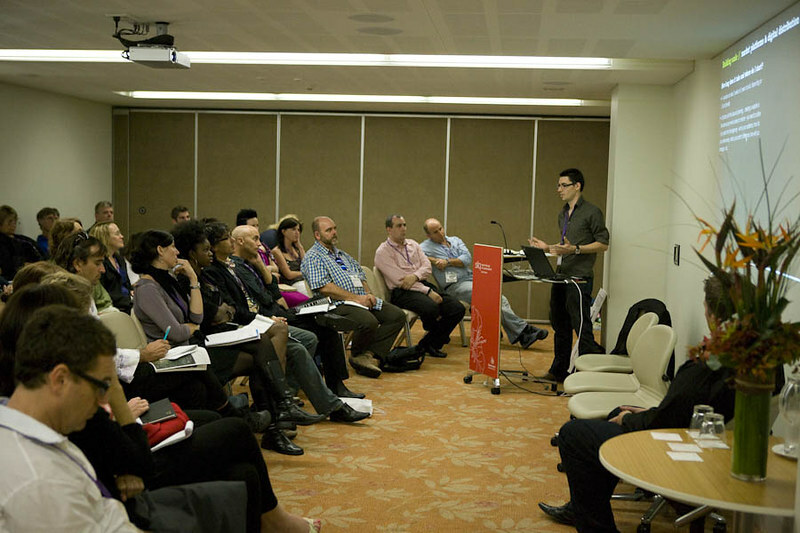 CEA delivered the International YouTube Creator Visit on 23 September 2016, a masterclass that brought together YouTube experts, producers, content creators and industry partners to collaborate through interactive sessions and panel discussions. 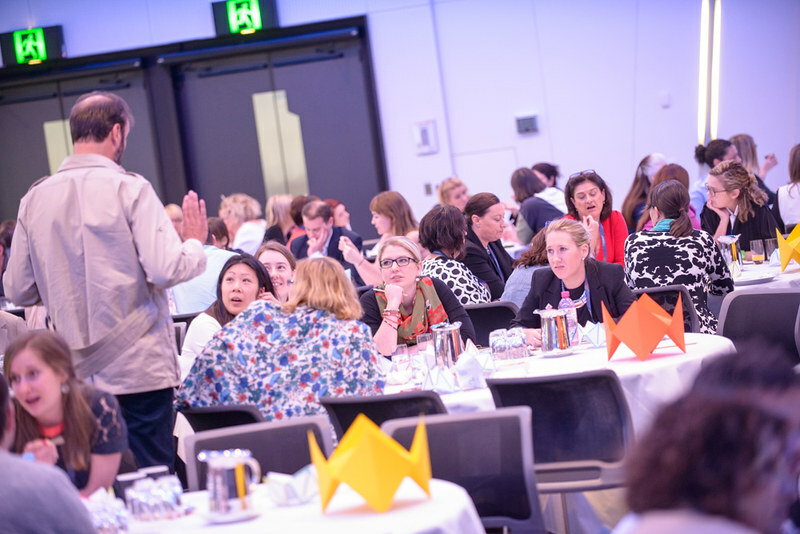 This session was led by Creative3 keynote speaker, Ryan Lee, Co-founder of PINKFONG, the #1 highest grossing educational content on mobile in 109 countries, with 100 million downloads. 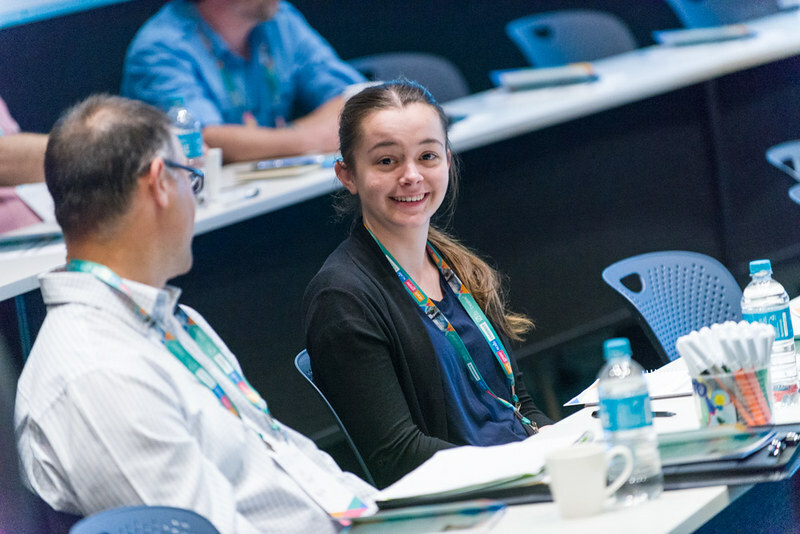 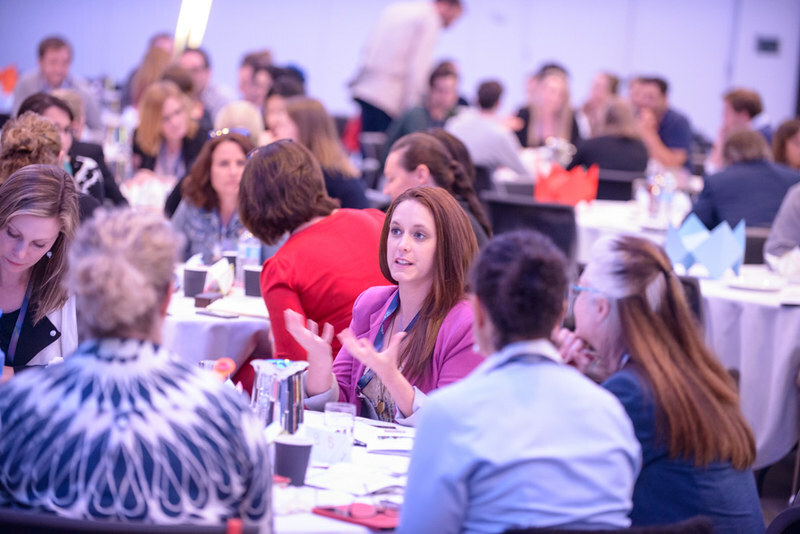 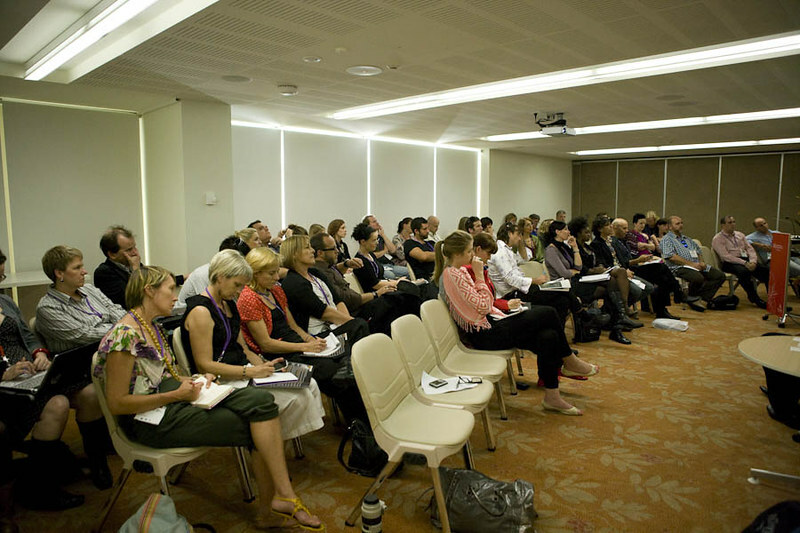 The session focused on the future of kids’ content and was open to Queensland-based YouTube creators with 5K+ channel subscribers. 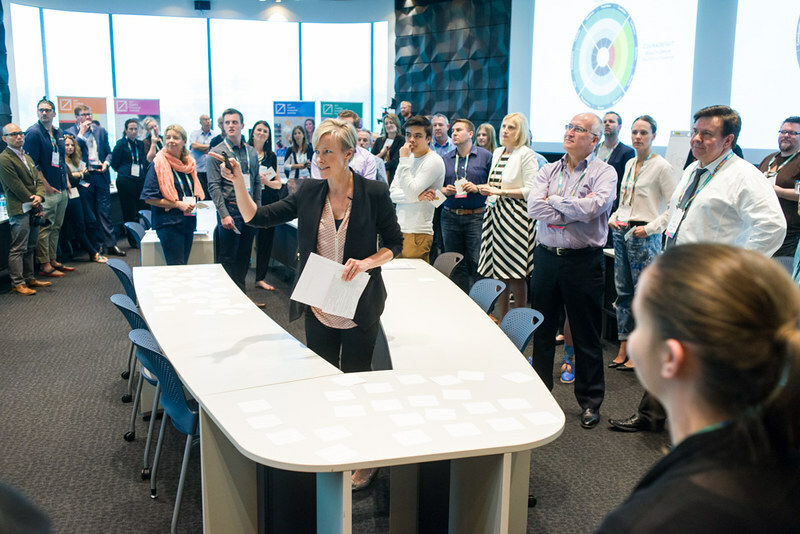 The key to building a successful organisation is by having the right culture and leadership to navigate new horizon opportunities. 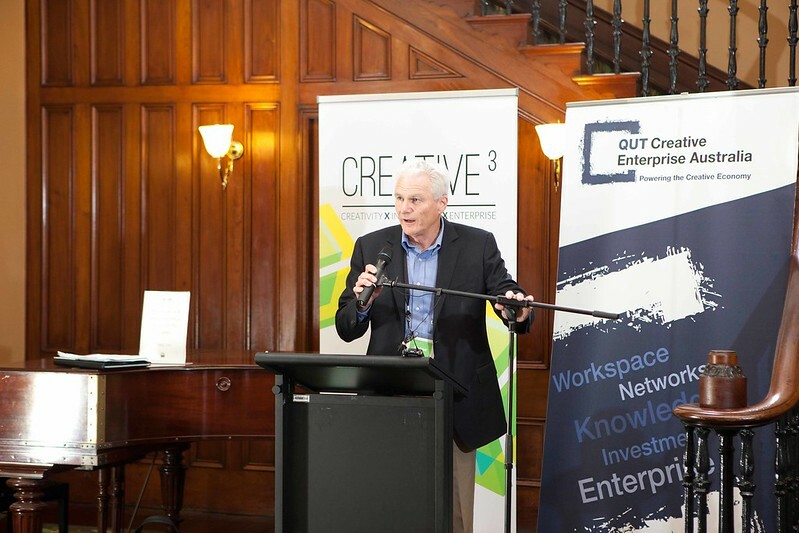 At Creative³, we have provided insights into how you build your value proposition, business model and capacity to secure new markets and investment. 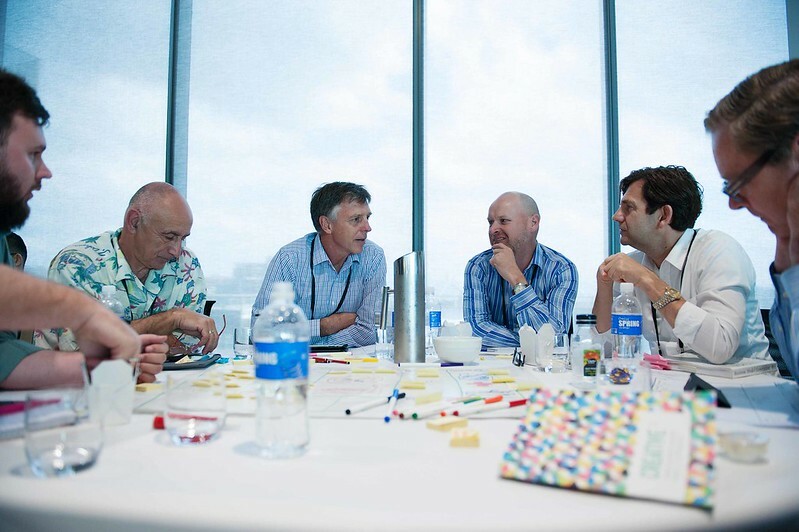 In 2015, we focused on one of the key issues facing today’s business community: how to maintain pace with shifting technology and trends and provide the leadership in your organisation to innovate during uncertain times. 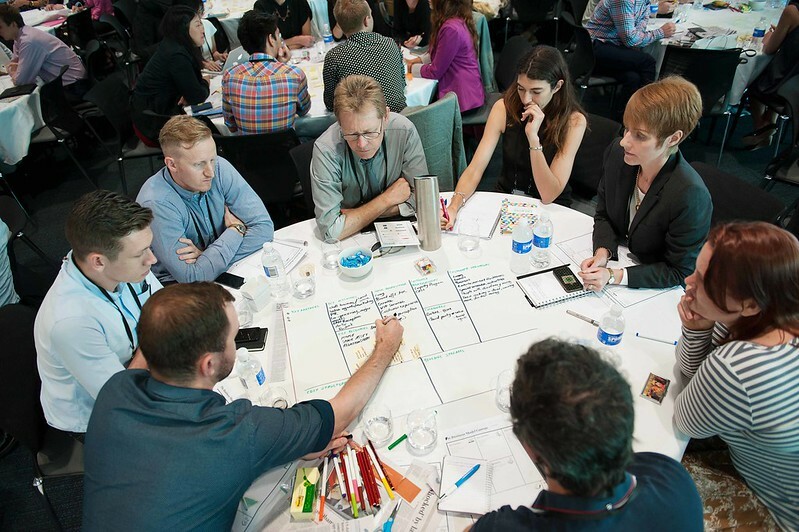 What does it take to lead a creative and innovative company? 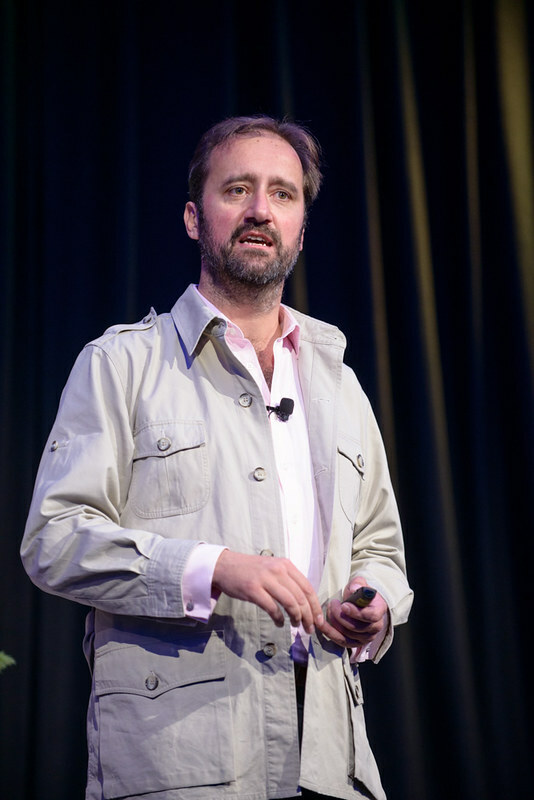 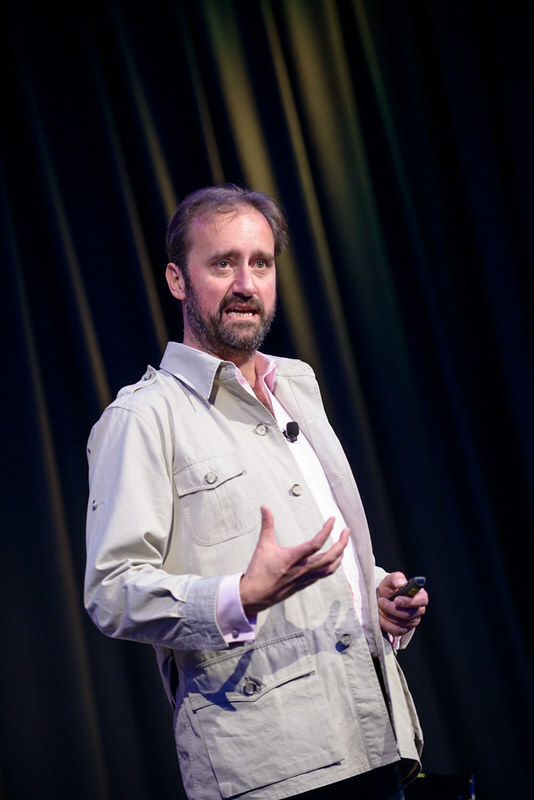 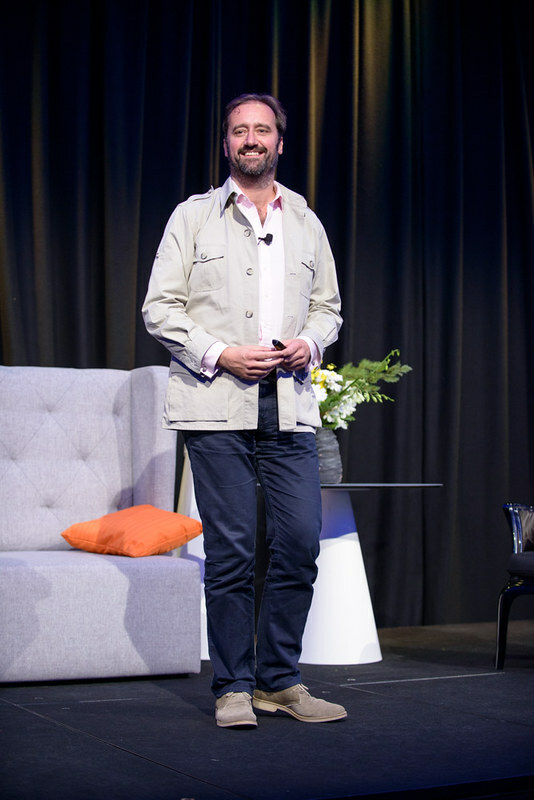 Jonathan Chippindale, CEO and Co-Founder of the London-based augmented retail agency, Holition, featured for the first time in Australia as a keynote presenter at the Creative3 Forum and presented a dedicated workshop, The future of innovation and disruption for brands and retail. 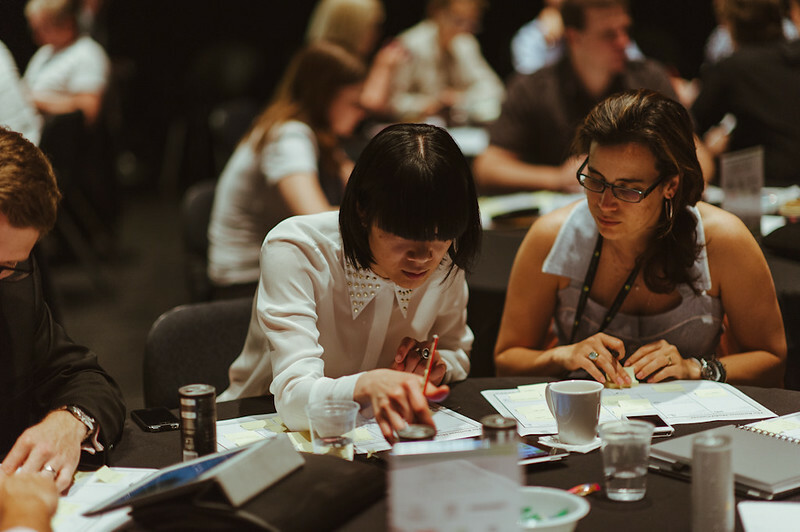 Delegates had the opportunity to work in teams to work on new business ideas for the future of retail and present their ideas as part of a pitching session. 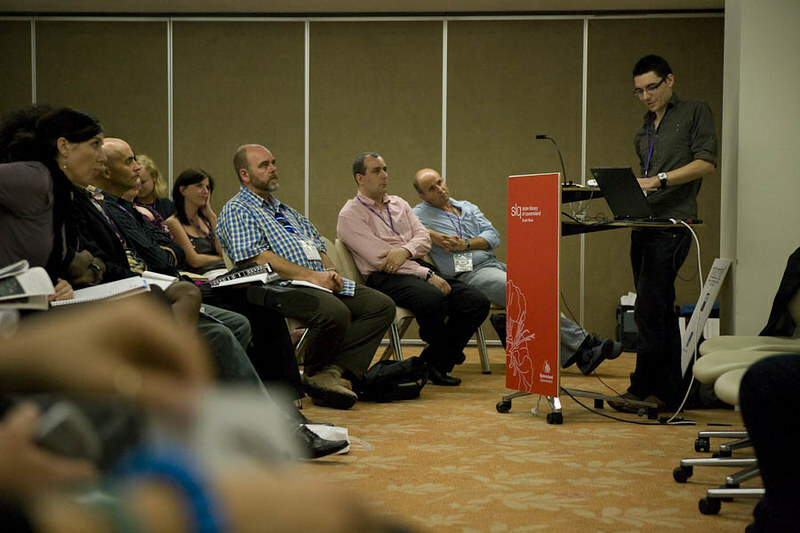 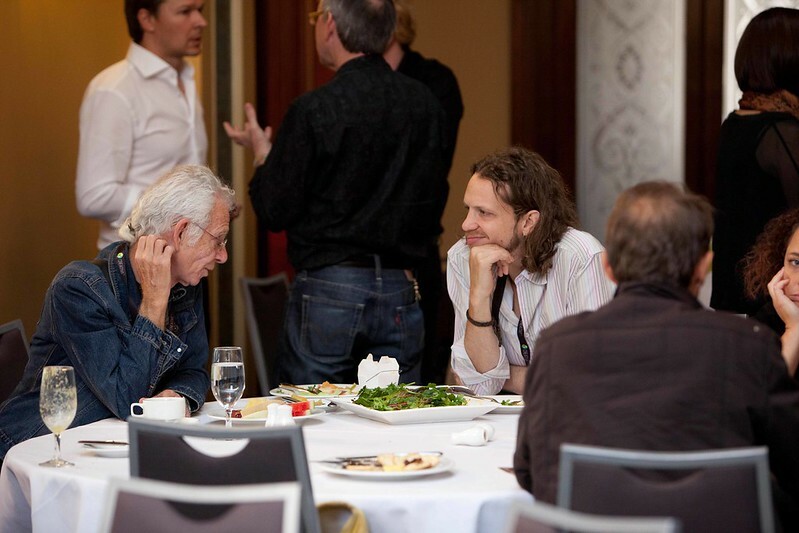 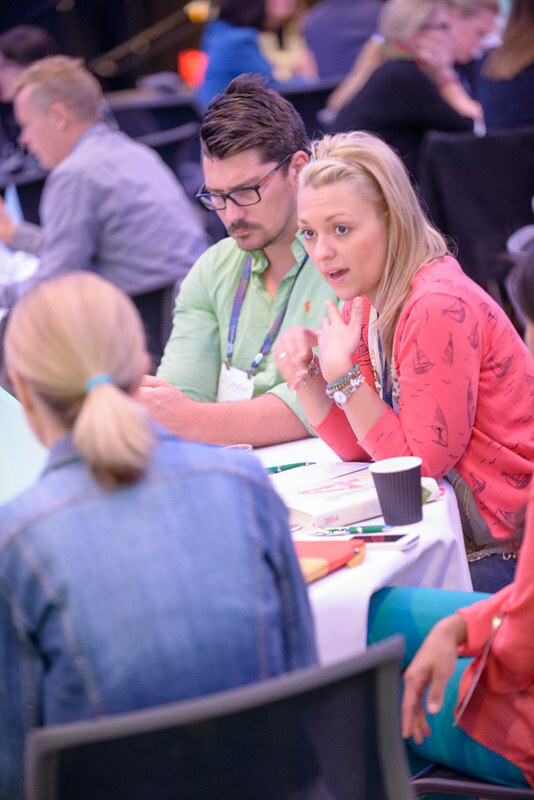 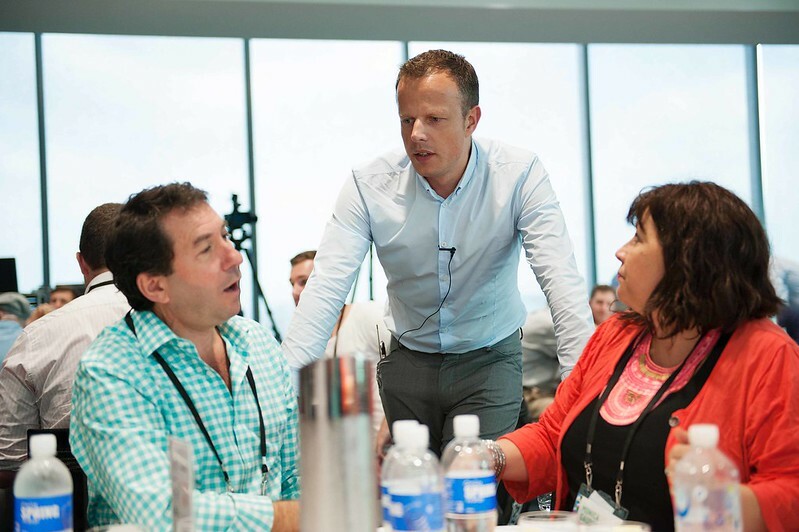 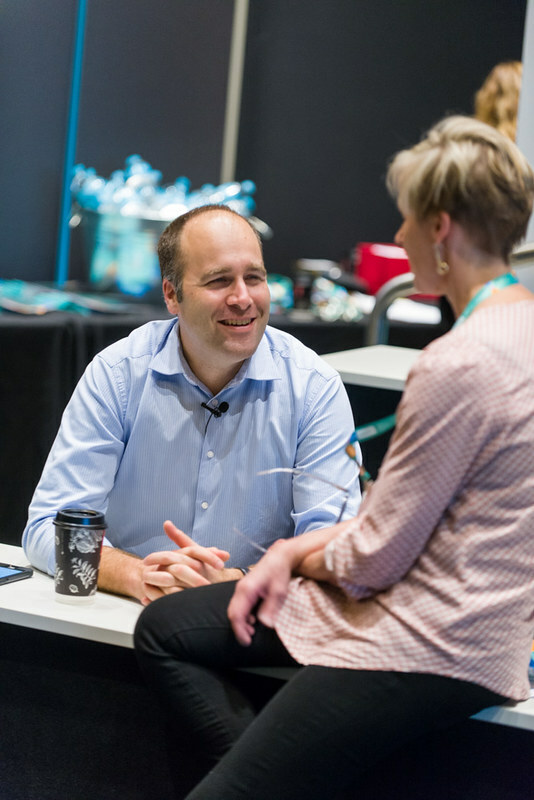 Business model strategist, Patrick van der Pijl returned to Australia to present his new advanced-level masterclass exclusively at the Creative3 Forum, which built on his workshop delivered at Creative3 2012. 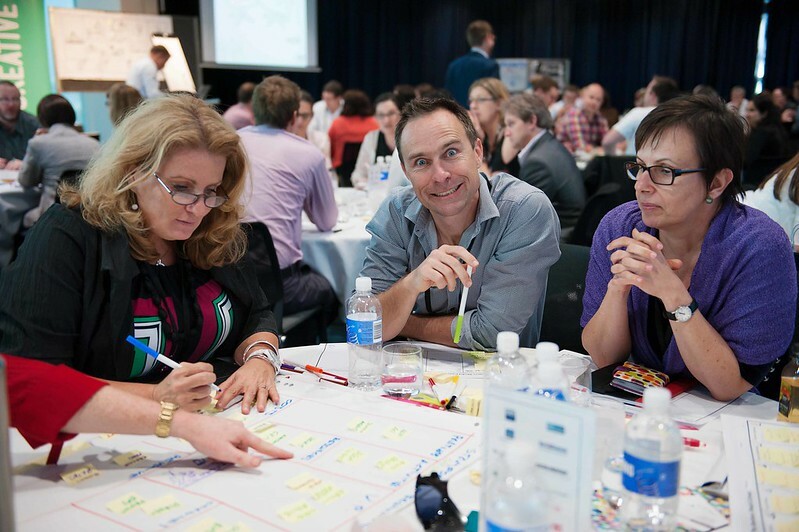 Today almost no business operates without some kind of business model design and scenario planning. 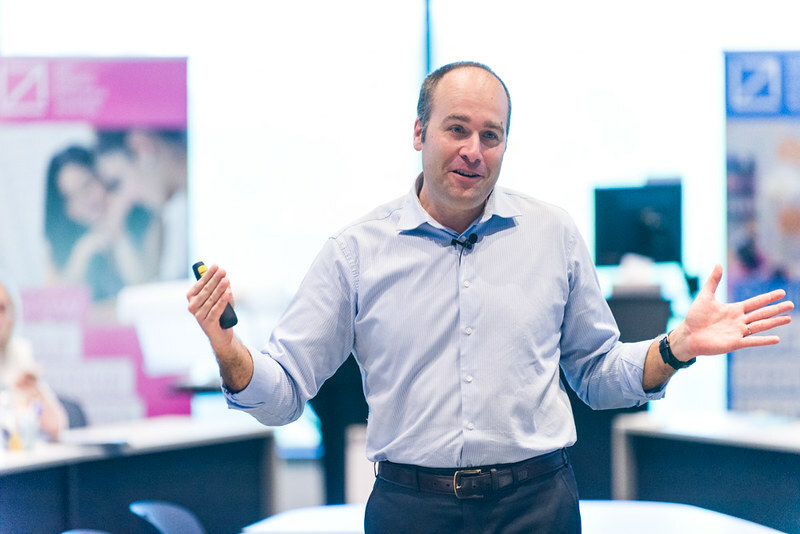 By better evaluating specific possible outcomes you can greatly improve your company’s ability to see around corners and prepare for the future. 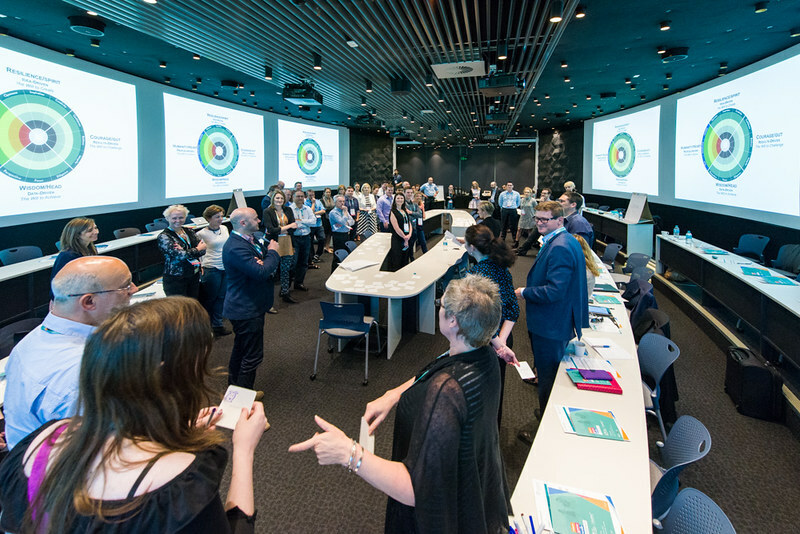 The highly-interactive half-day masterclass was a mix between hands-on practice, Q&A, buzz groups and presentation, and prepared participants with new tools. 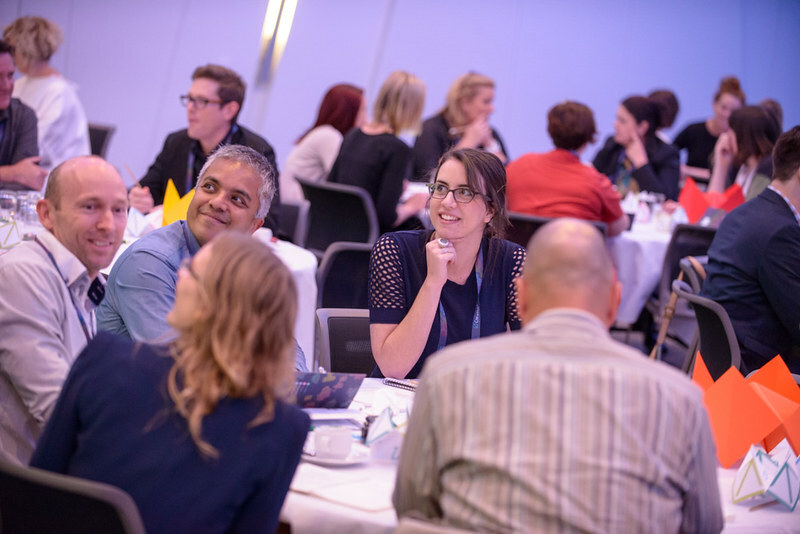 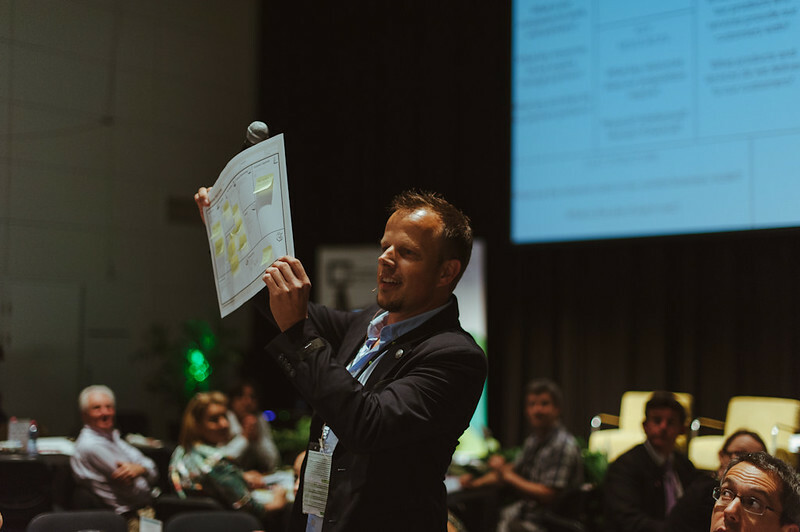 Delegates gained key learnings of business model innovation and scenario planning including new design tools, processes emerging, ways to get started, pitfalls to avoid, and a number of successful tips. 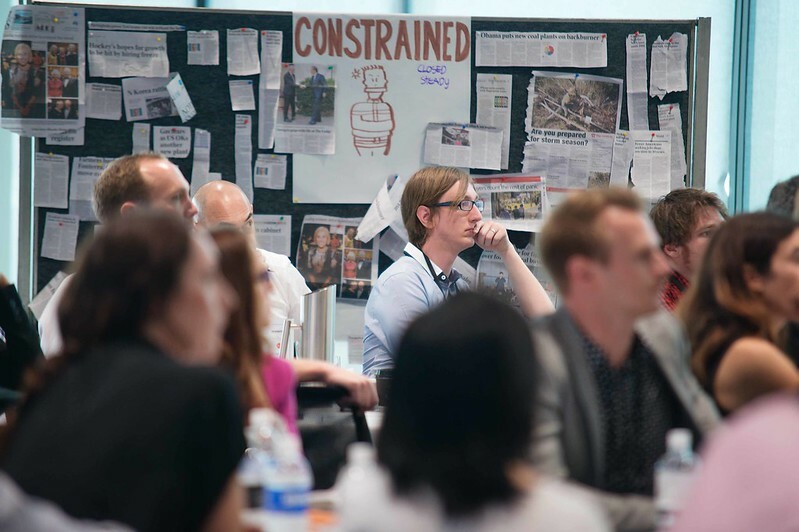 An immersive workshop designed to help companies develop engaging and influential content in the social space. 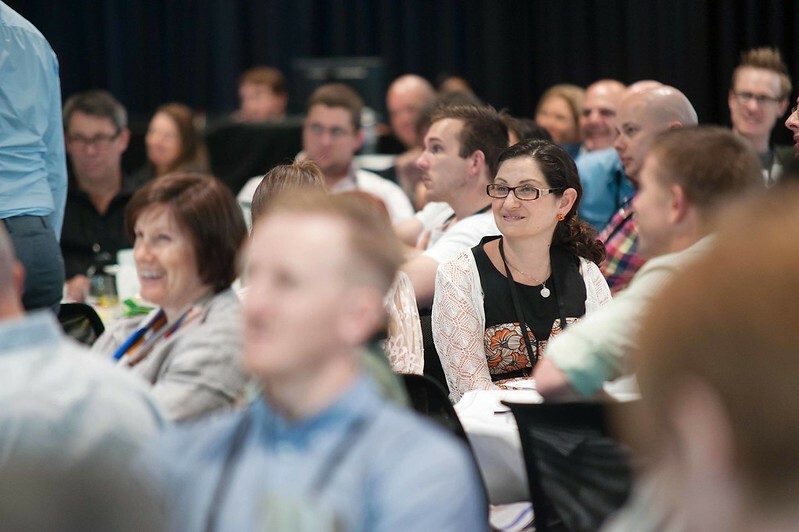 This masterclass provided the audience with a 90-minute session focusing on key measurable results for Twitter and LinkedIn along with tips on developing a content marketing strategy. 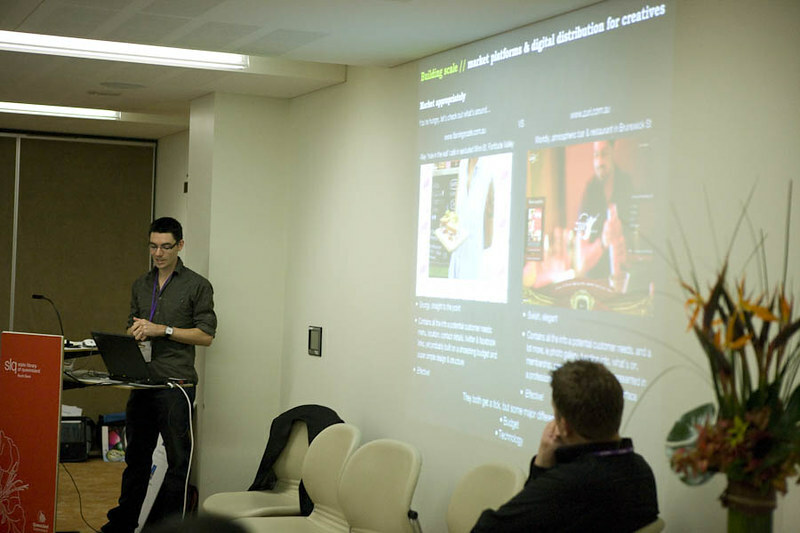 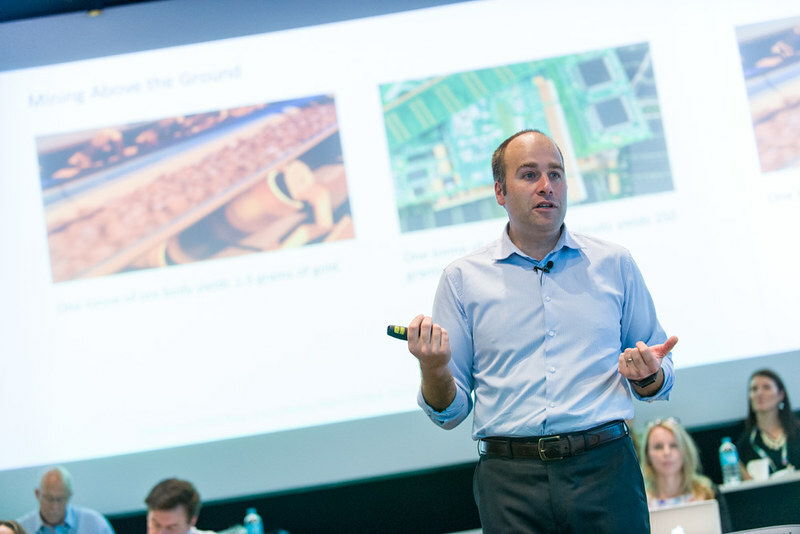 Emmy award winning interactive media expert, Thom Saunder’s provided the latest trends and insights in gaming for the government sector across TV, data visualisation and serious game formats. 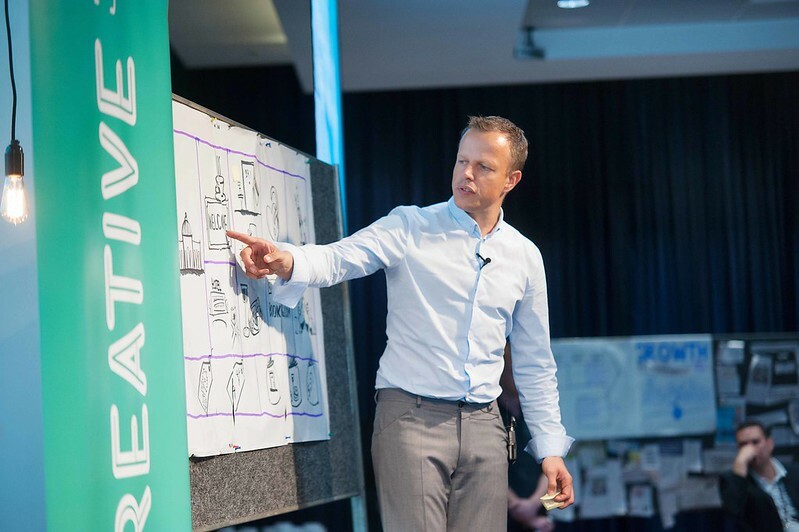 Facilitator // Patrick van der Pijl Business Model Inc.
Patrick van der Pijl, producer of the internationally acclaimed Business Model Generation book introduced the business modelling canvas, focussing on business model innovation and practical examples to innovate business plans. 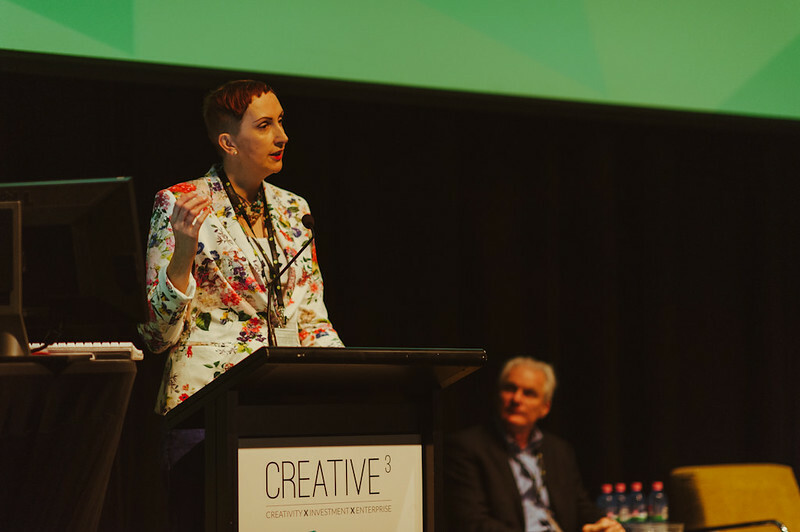 From music distribution to transmedia franchises, this session addressed the new drivers of revenue transforming the entertainment industry and how to best monetise convergent media. 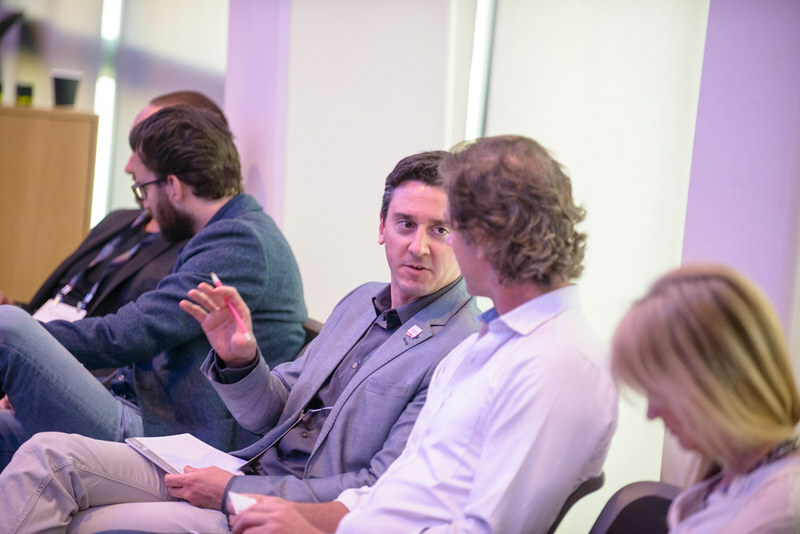 Digital protection and management issues were discussed by industry heavyweights including Andrew Mason, Executive Producer, The Matrix and its sequels and Tracey Robertson, CEO, Hoodlum. 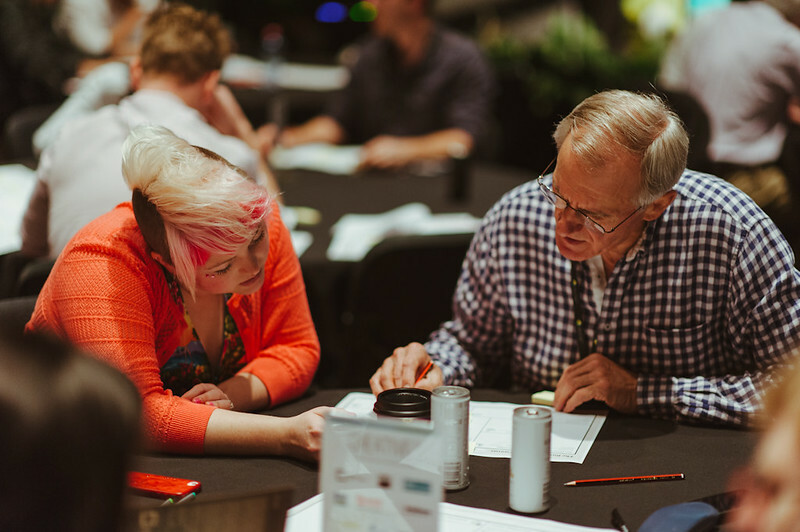 This introductory workshop guided delegates through a hands-on session on the Business Model Canvas to define your creative business value proposition which is essential in attracting new customers, markets and revenue. 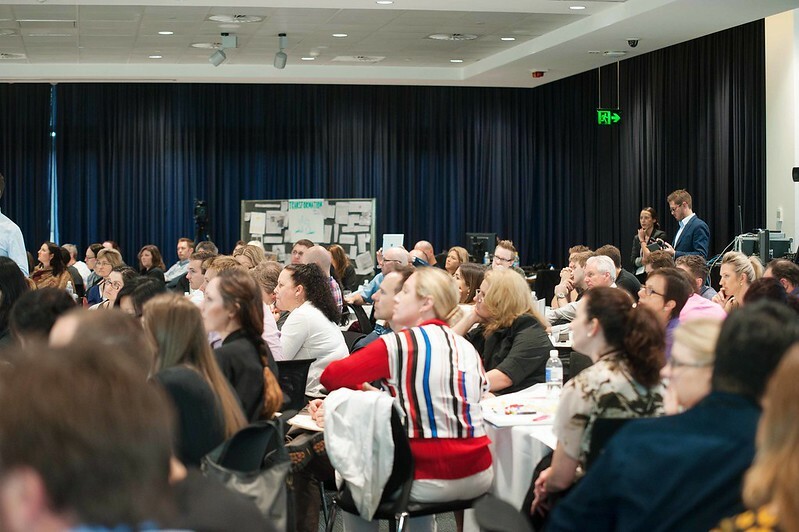 QUT Creative Enterprise Australia brought the producer of Business Model Canvas to Australia for the first time in 2012 and again in 2013. 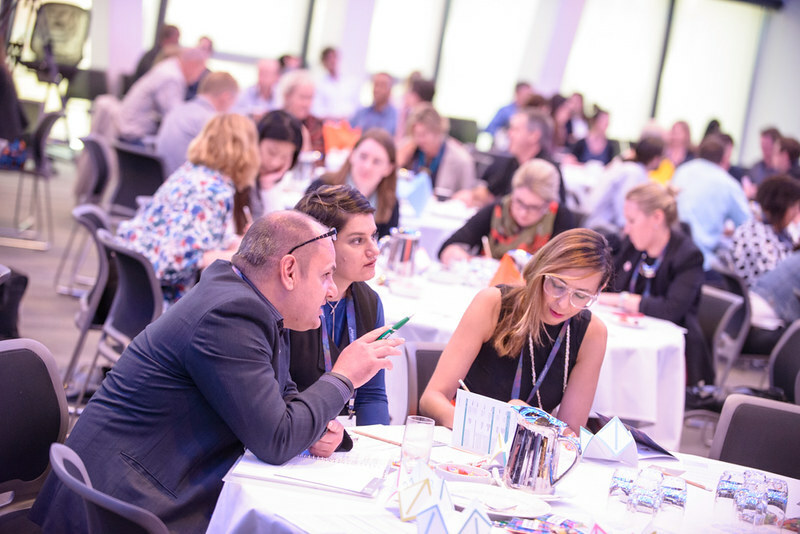 This session was designed to provide key insights for creative organisations in maximising value through building new digital platforms to increase markets and distribution opportunities. 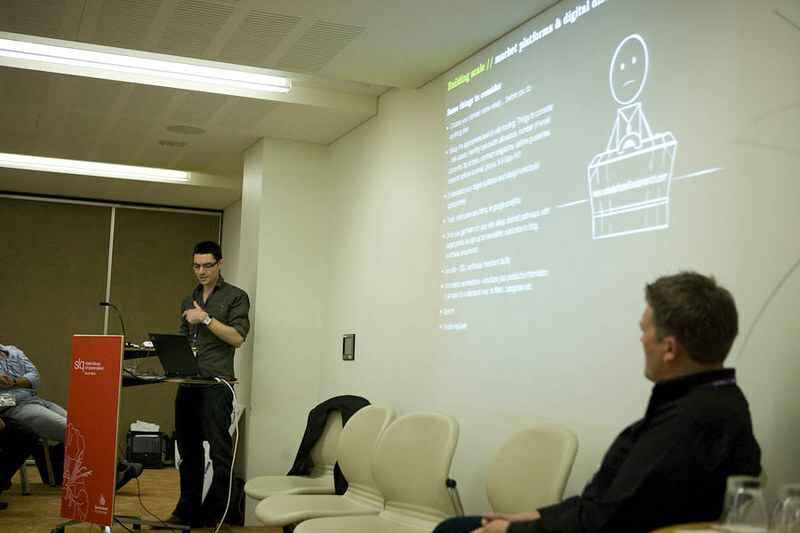 ‘Gatekeeper’ models may be the status-quo, but the rise of Web 2.0 technologies and social media are two forces that have the potential to radically change the way creativity is conceived and commercialised. 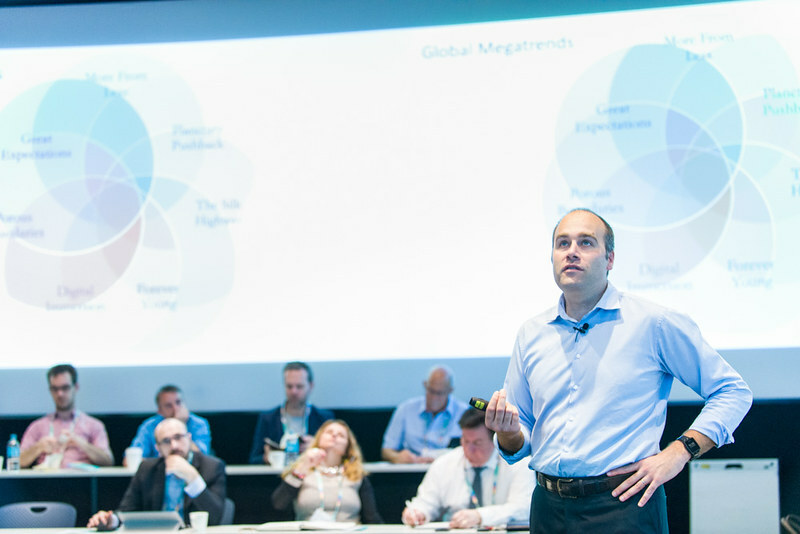 With the adoption of these technologies, it may no longer be optimal for a few executives huddled in a meeting room to make decisions for the public about your business and offering. 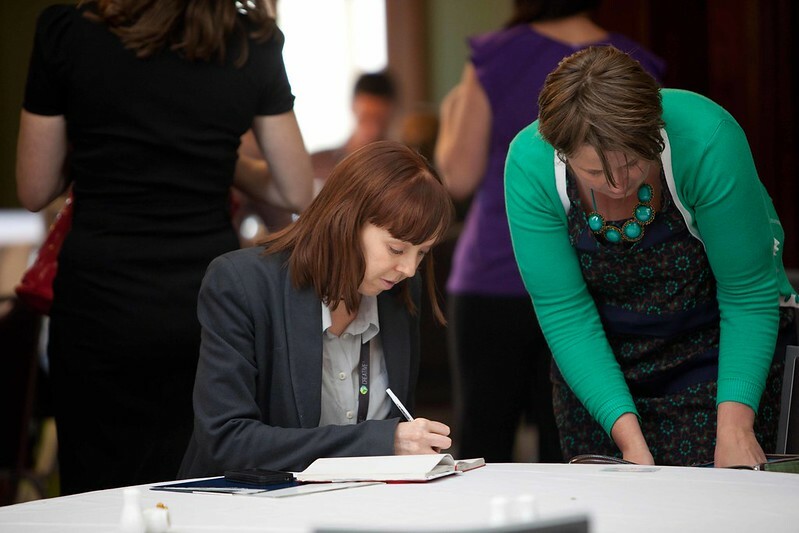 How to create individuality whilst protecting your ideas? 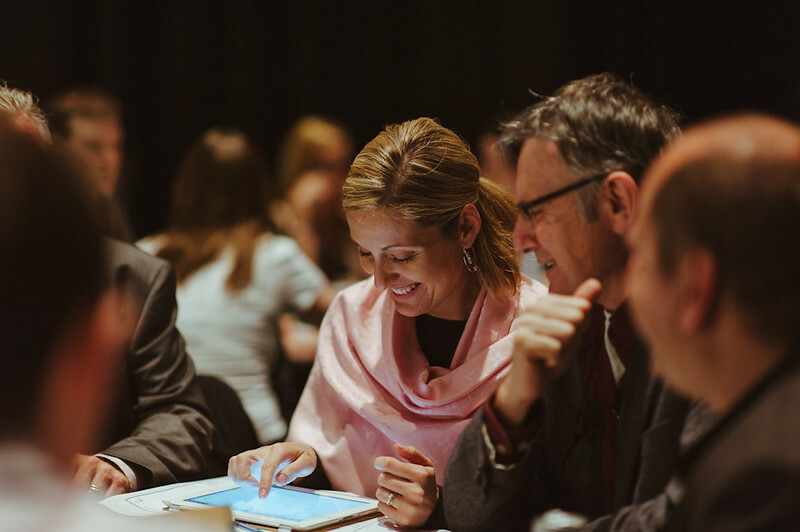 With the pace of new content, technology and markets rapidly increasing, ensuring you maximise and protect your ideas is a key business essential. 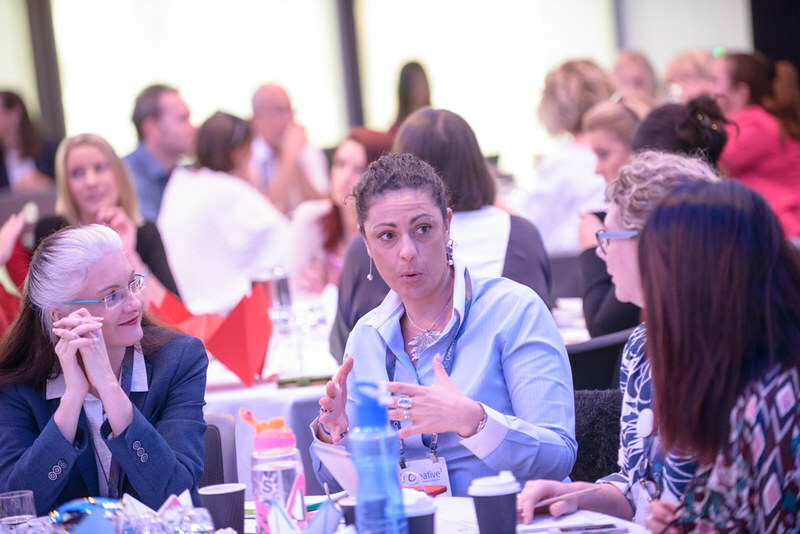 This session was designed to provide key advice for creative enterprises in maximising value from innovation and creativity whilst at the same time protecting intellectual property rights. 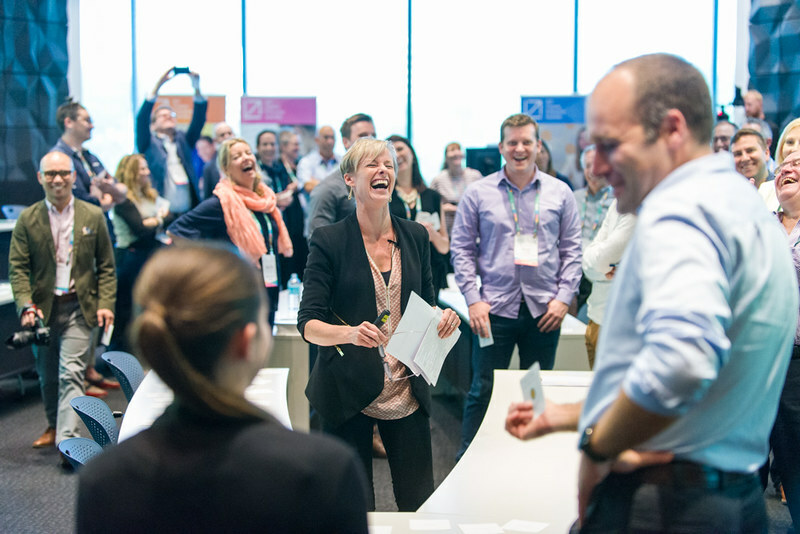 Creative³ Masterclass: What does it take to lead a creative and innovative company? 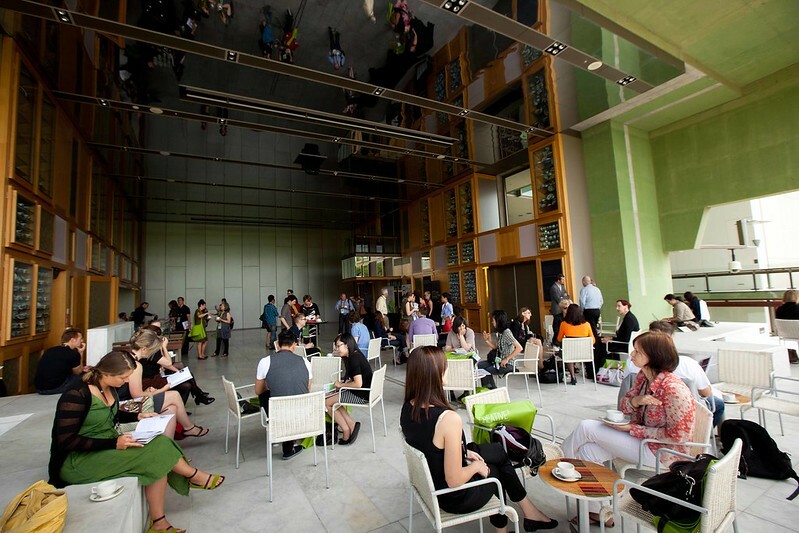 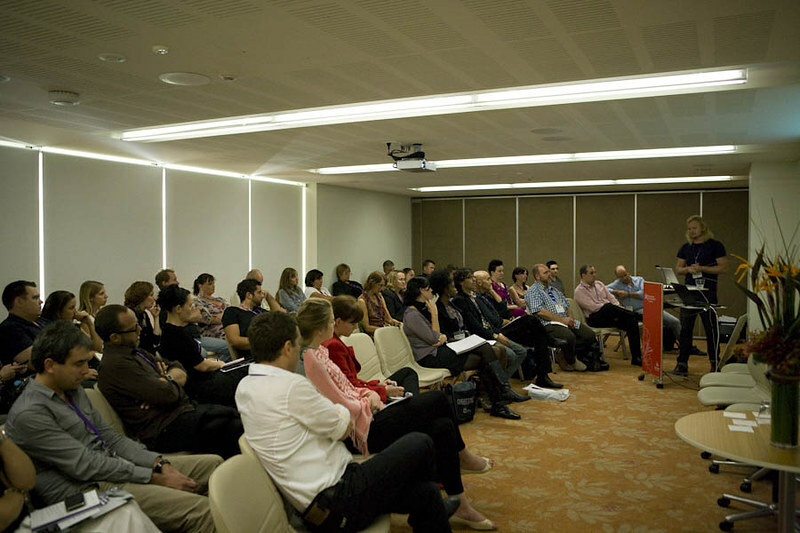 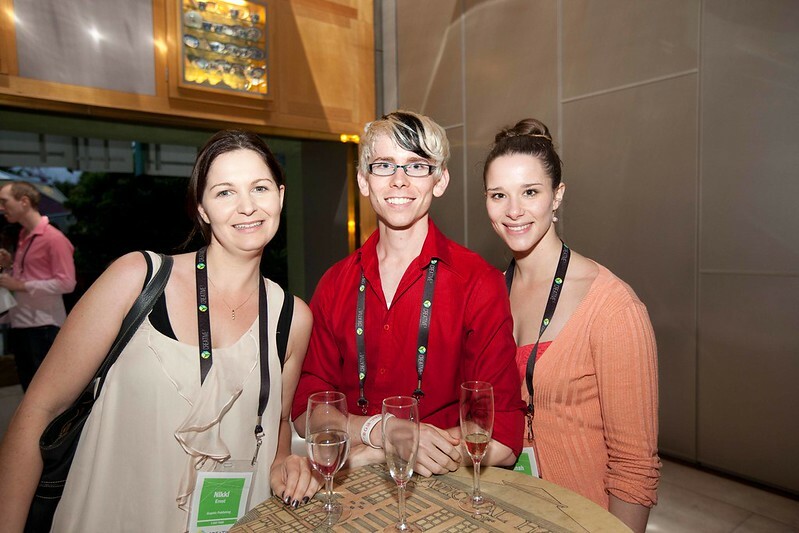 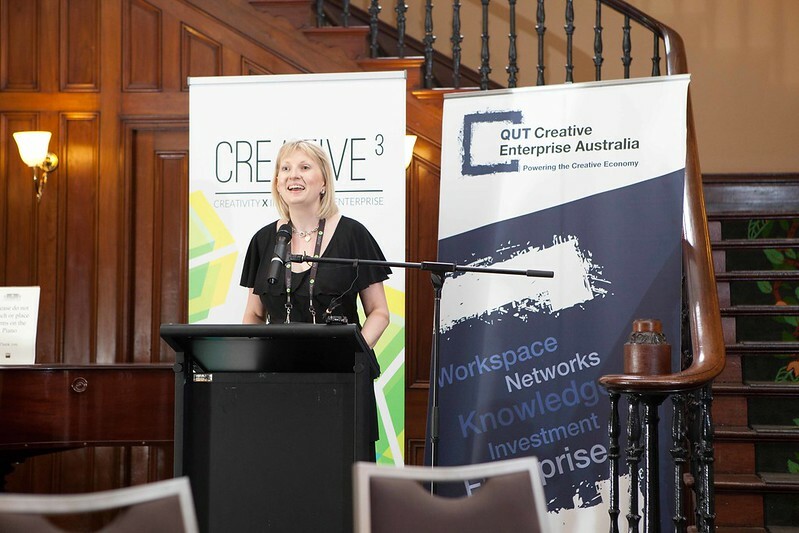 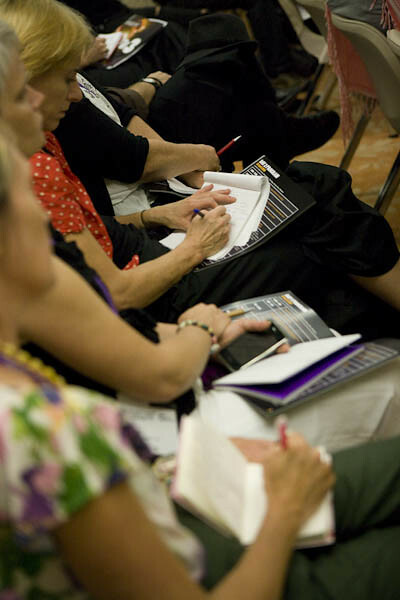 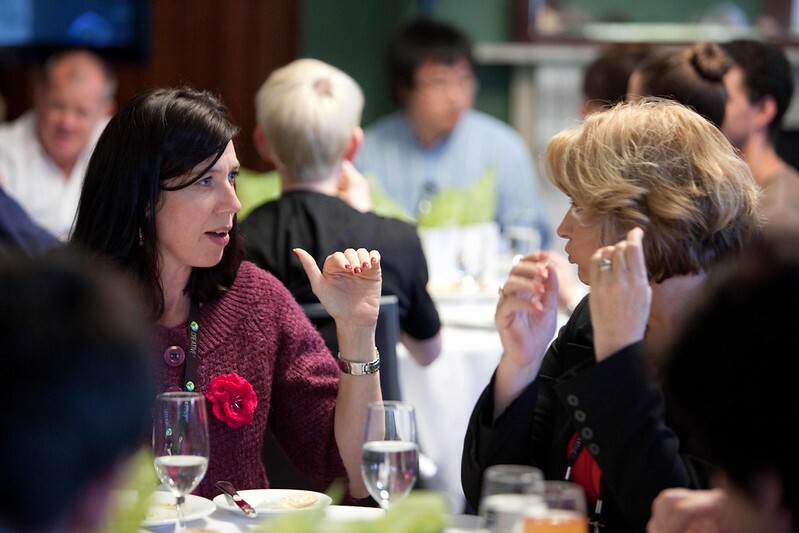 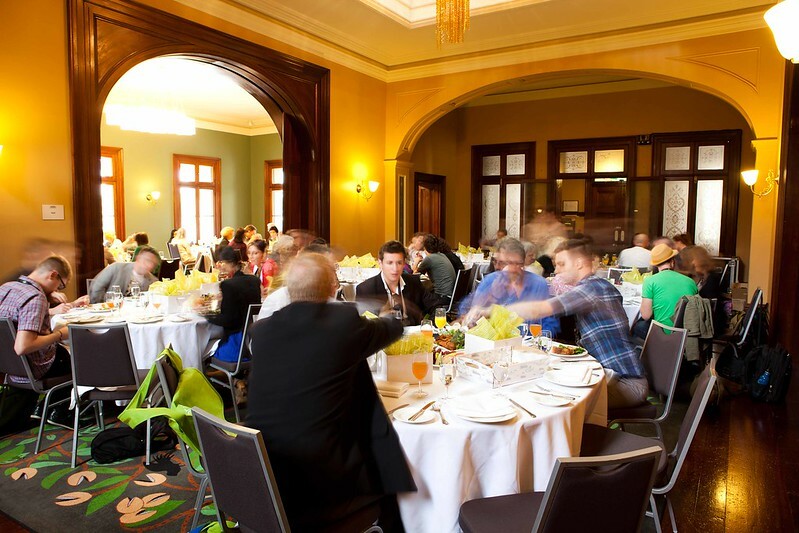 In April 2010, CEA initiated and hosted the first Creative3 to showcase the importance of creative industries as a driver of the Australian economy and the differing pathways to commercial success. 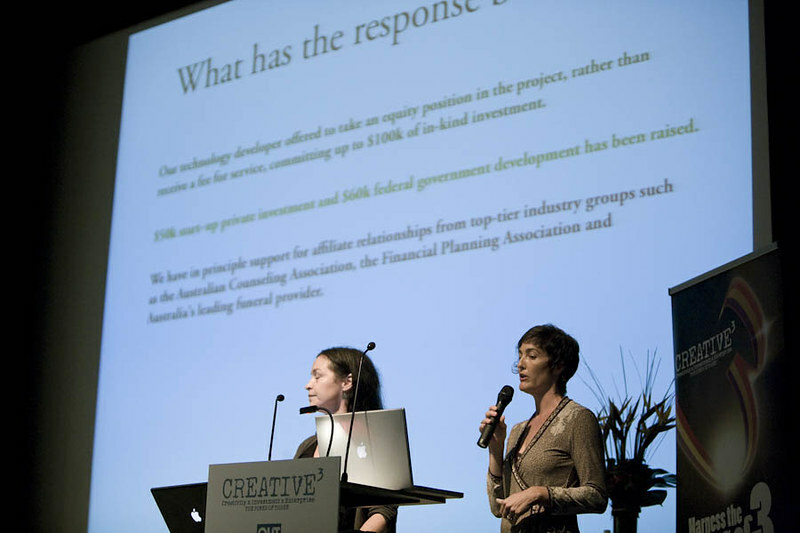 Today, the creative industries is valued at US$2.25 trillion globally and more than $35 billion to Australian GDP. 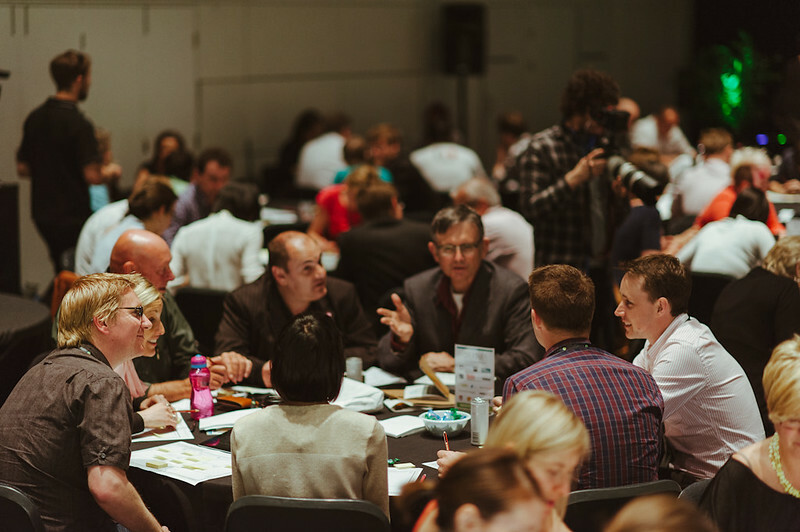 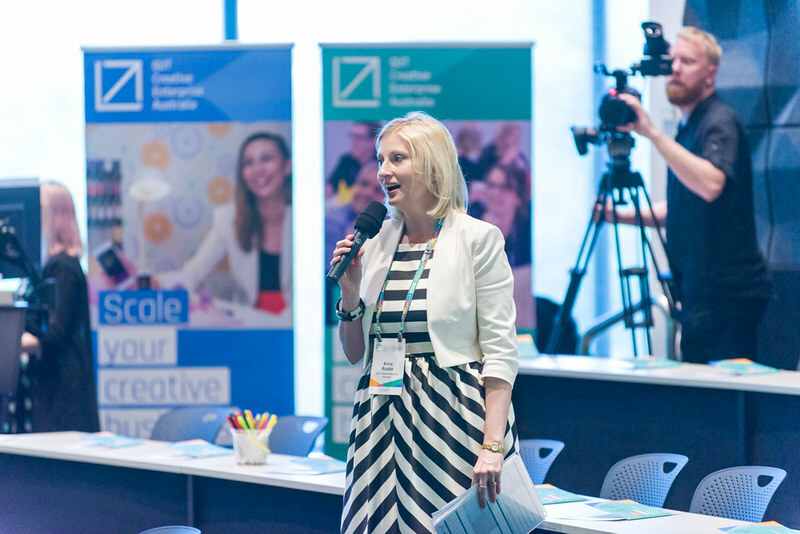 Since launch, over 85 thought leaders and entrepreneurs have presented new models of creative business innovation to more than 1,500 delegates. 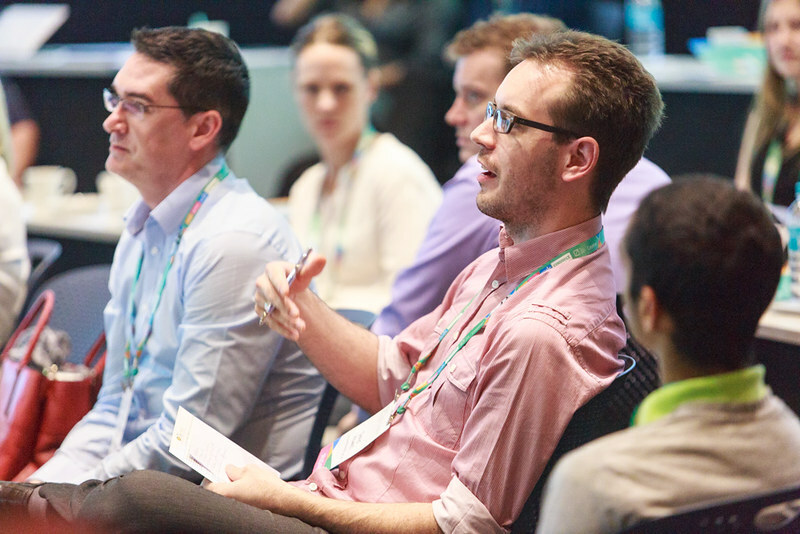 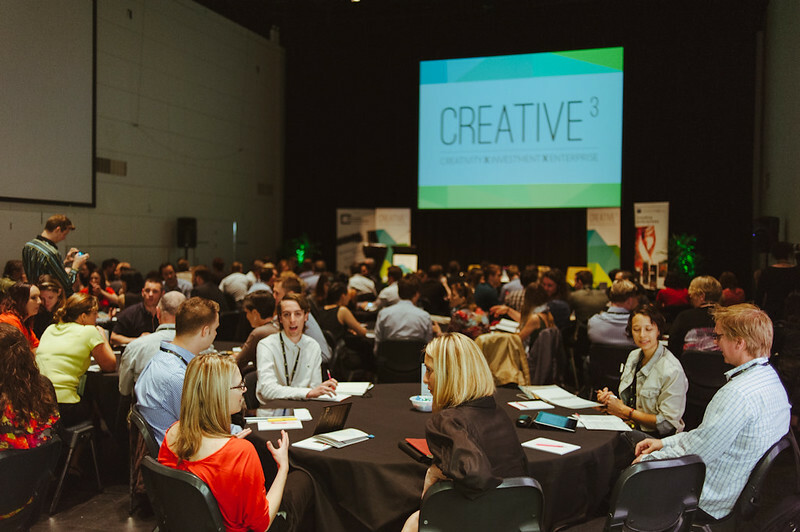 Creative3 is now Australia’s largest conference for creative entrepreneurs. 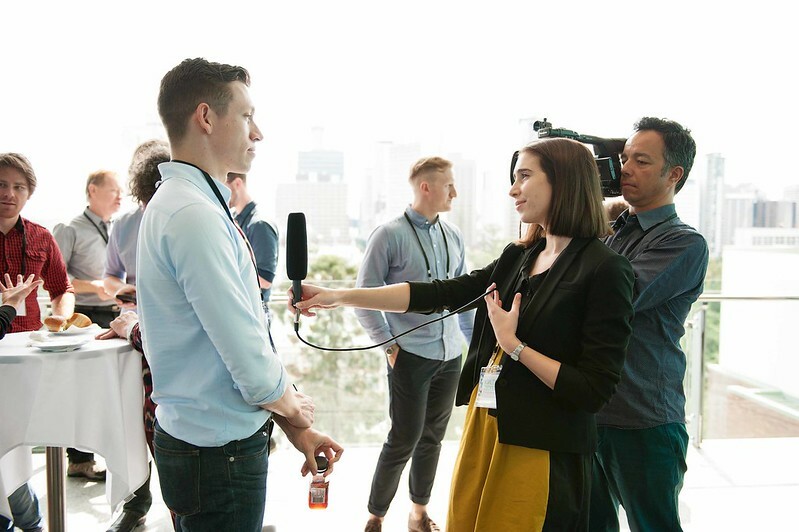 At heart, Creative3 is about providing innovators, business leaders and entrepreneurs with the insights to succeed in scaling their business.